And here is the remote control. 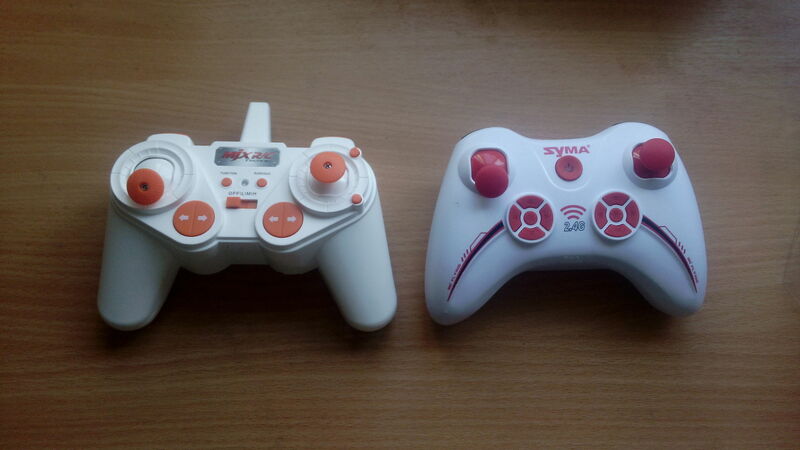 On the right you see the one from Syma X13, a review of which I will publish soon. 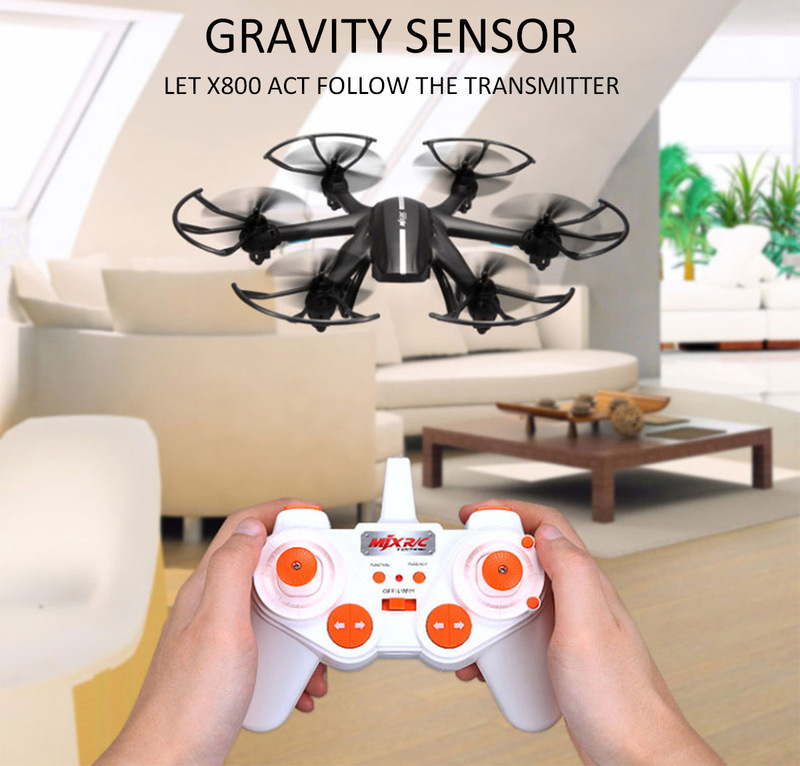 The most interesting function is the drone control by tilting the remote.To switch from the normal mode you have to use the right stick. Push it to the right and wait for a signal. With the button under the right index finger you can turn the backlight on/off. 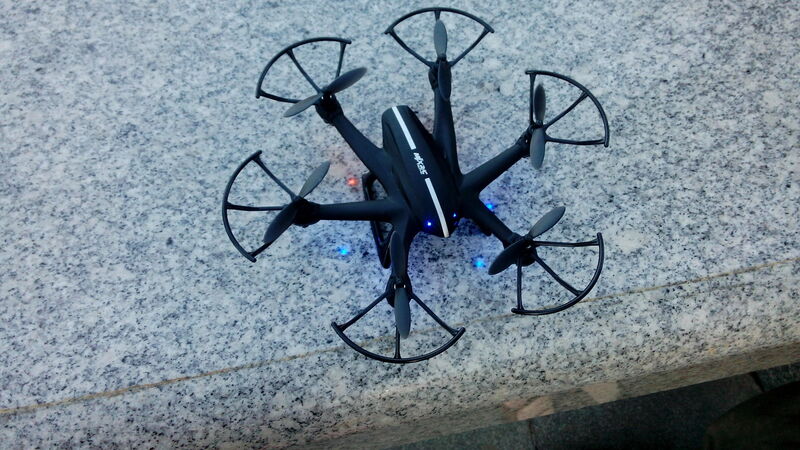 This can save you a tiny piece of charge or help you to hide the copter in the sky from unwanted eyes. Two red lights are on the back. 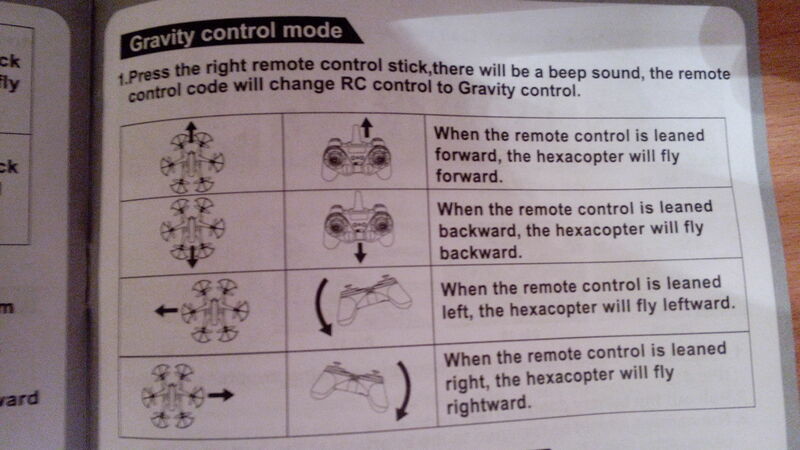 There are 3 flight modes: low, medium and high (crazy). The mode switching is placed very interestingly - together with the power button. All signed: L, M, H - so it will be difficult to mix. 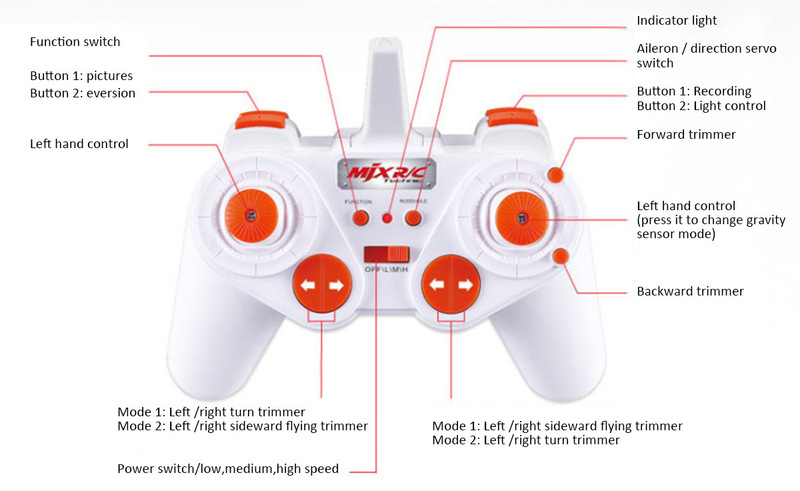 In L (low) it is good to learn the controls, M (medium) is perfect for normal flights, and H (crazy) brings completely new feelings as along with increased speed the drone makes a flip ones the stick is all the way pushed. This makes flying quite complicated. I am going to return to this mode in my next article about MJX. In L and M modes flips activated by pressing the button under the left index finger and pushing the right stick in the desired direction. 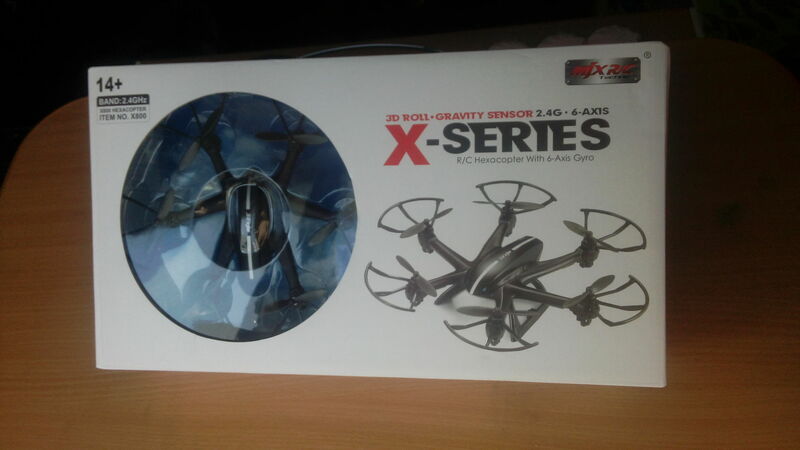 6-axis stabilization system is able to pull it out of any situation, if you are at least 3 meters from the ground. 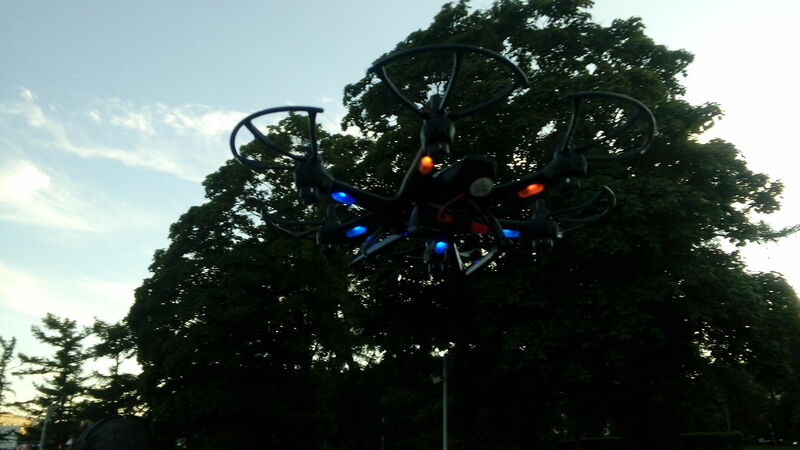 Moreover, six propellers, working in balance together, provide a smooth flight. It is not rich, though has all what is needed. Especially I was pleased with 6 spare props. Some manufacturers forget about these little things and then the copter can stay long on the shelf missing some spares. I can say that MJX company entered the market with a successful product. 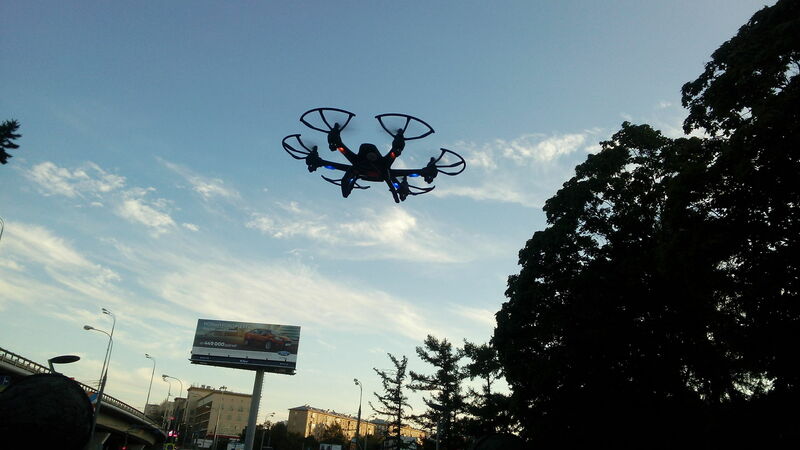 X800 pleases with its quality and capabilities.This is the first model, which combined the functions of the standard piloting and controling by tilting the remote. Also the 150 meters flight range is far above the one of competitors’ (30-50 meters). Personally, I do not advise to fly so far due to the risk of losing the copter. The only thing that did not like - is the battery fixed with the screw (!). This definitely doesn’t help to change the battery quickly. Probably, the manufacturer decided that 8 minutes of flight is enough. However, if you are thinking about an extra battery, you can buy it here for … and then decide if you need that small lid at all. 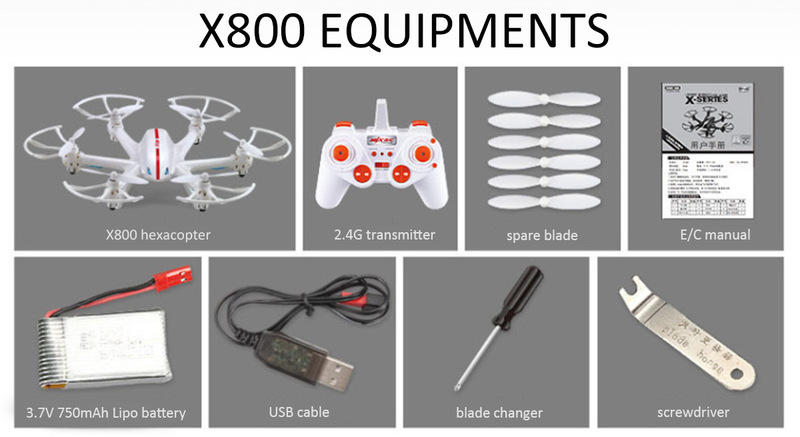 All in all, MJX X800 turned out to be extremely versatile drone with a variety of interesting functions. You get a high quality product just for $29.99, why not to try it.